Those looking for Texas commercial real estate listings will have a wide variety of choices, as the state is the second largest not only in area, but also in population. Texas' population is estimated as 25 million. Of all the cities in Texas, Houston has the most commercial real estate listings, and its population is estimated at 2,144,491. San Antonio and Dallas are also rich with commercial realty with populations of 1,328,200 and 1,300,350 respectively. Ever since the early 20th century, the economy of Texas has been strong due to the discovery of oil. Thriving industries in Texas include agriculture, energy, electronics, petrochemicals, and aerospace. The space's gross state product is $1.207 trillion. Currently, 57 Fortune 500 companies have headquarters and office space in Texas. Those interested in commercial realty and investment property in Texas will be pleased to know that Site Selection Magazine has rated it the most business friendly state in the country. Transportation is also easy and convenient as Texas has more airports than any other state. Beautiful Water St, 2 blocks from Corpus Christi Bay. 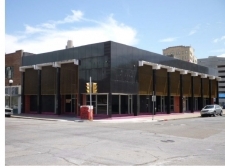 Previously "The Vault", 8,000 sq ft of potential awaits! 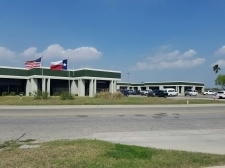 Exceptional office space, 1,321 sq ft.
Dock High, Tilt-wall Office/Warehouse, Excellent regional service and distribution location. Amarillo Plaza CenterCo-tenants include Cato, Gamestop, Subway, Strong Demographics. 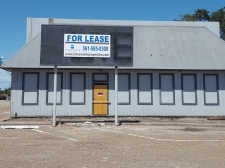 This Retail Center is located in Dumas, TX on the main highway. Strip Shopping Center located at the southeast corner of Plains and Avondale.